Find out about the events we’re running by signing up to our newsletter. We promise not to spam you, just provide you with useful information. Who are Little Heroes ASD Support Group? 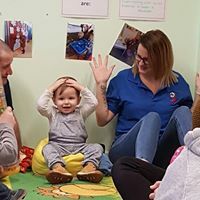 Little Heroes ASD Support Group is a parent led support group for families of children who are on the autistic spectrum. Helen and Kim met on a professional level when Kim’s son Alfie was in the early days of receiving an official diagnosis of autism back in 2011. Helen assisted the family in her formal role of autism specialist portage worker for the local council and together they experienced the ups and downs of the “autism rollercoaster”. When Alfie began at the local specialist school Helen and Kim decided they would like to create a small support network for families with children of similar ages – this would be the monthly coffee morning sessions at Summercourt Children Centre, Westcliff-on-Sea and officially began back in October 2012. Several years later and Little Heroes is still going strong, is now a registered charity and continues to bring more and more families together. We provide support and assistance for families within Southend-on-Sea and the surrounding areas from as soon as they discovered there are additional needs. Our intentions are that all children no matter what their ability/ disability is that they will be able to participate in activities and events that other neurotypical children can do, we give families the means to do this by arranging such activities in safe and secure surroundings. Little Heroes provides a drop in service for parents and families of children with autism on a regular weekly basis. During term time these are at least once a week and are within the local community. Please refer to our social media pages for up to date information regarding venues. We offer activities throughout the school holidays and provide suitable events for families whilst offering them the chance to socialise with other likewise families whilst receiving advice and support from one another, as well as potentially creating new friendships within a circle of support. In addition we invite professionals along to these meetings and activities so families can benefit from their information and advice, it also makes it simpler for them to connect with these people that they may be wary of or find it a little daunting. "Me and Evie were lucky enough to find Little Heroes last year at the very start of our autism journey. Ever since then it has been an amazing form of support, not only because it is somewhere where our children can play and be themselves without any possible judgement from others, but it gives parents a chance to relax a little, have a cup of tea and chat to other parents. As someone who only has a small family and friend network it is lovely to be able to meet new people and make friends with those who are going through the same journey. 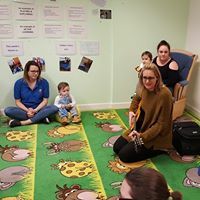 I know that without little heroes a lot of people, including myself, could feel quite lonely and isolated, and not knowing where to turn to if they need some advice, therefore it is so important and Southend is very lucky to have this support group." "Somebody recommended popping in to Little Heroes drop in session for a chat, maybe they could help. I did just that and I can honestly say it was the best thing I could’ve done for myself and my family. Suddenly I found myself in a room full of parents who ‘got it’. Some had been there, done that. Some were right at the beginning and as lost as me. I instantly had access to comfort, understanding and information. There were sign posts in our new world and we had a family again." "Little Heroes provides a safe place for my children to play where everyone understands their quirks and struggles. It provides a place where, as a parent constantly on high alert, I can relax for an hour and enjoy the company of other adults- sometimes my only company in the week at all. But it’s so much more. It provides access to professionals that can help our children, help us as carers. It provides access to workshops to build our own skills in helping our children. 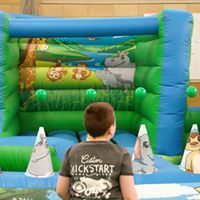 For me, most importantly, it provides opportunities for my children that they deserve- Santa’s grotto, Easter parties, summer holiday soft plays- just ‘normal’ activities for most children that can just be too much for mine to cope with." "The local area’s SEND information, advice and support service (SENDIASS) and the Little Heroes support group are well thought of, and highly active. The people who run the provisions care passionately about improving outcomes for children and young people with SEND. The work of SENDIASS and Little Heroes is very highly regarded. These two small teams signpost children and their families to find provision and apply for additional services, and they fervently champion the rights of children and young people. Professionals, families and young people are overwhelmingly positive about their experiences with these two groups. Many say they would be ‘lost’ without their encouragement, insightfulness and support."